With online marketing evolving by the minute, it stands to reason that the most valuable insight will be that which can be shared in under one minute. 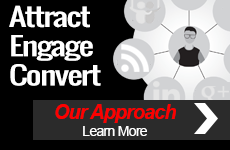 On Tuesday, November 16th, TopRank® Online Marketing CEO Lee Odden, along with sixty leading marketers, will be lending exactly one minute of time to the virtual Future of Marketing Conference. 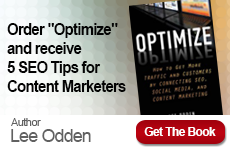 During this online event, Odden and his colleagues will have sixty seconds each to share sixty tips every marketer needs to succeed in 2011. With his time, Odden will comment on the importance of creating campaigns that exist at the intersection of search and social media. Ultimately, the future landscape of marketing – as revealed by Odden – will be one that is shaped and changed by the dynamics of changing consumer preferences for information discovery, consumption and sharing. Register for The Future of Marketing, a free virtual conference, by following the link below. All attendees will receive access to the MP3 recording and transcription, post-event.